Watching this release was a bittersweet affair for me. I remember when Nirvana were in their prime and considering myself the world’s biggest Nirvana fan and authority on all things Nirvana (which I certainly wasn’t!). Then lead singer Kurt Cobain passed away through suicide and the band immediately fell apart, never to reform. The disc is a bit of an odd one, it’s not a release that dwells on Kurt’s death really, though that is featured throughout the doco naturally enough, it’s more about the process that the group went through to get to where they eventually wound up and what the opinions were of those closest to them looking from the outside in at the group. The quality of the release is varying, being taken from multiple sources and also it is interesting to note the attitude toward Nirvana, which differs from adulation through to anger at the death of Kurt and the general thoughts about the band. The disc itself doesn’t run that long to be honest and I do think that it could have gone longer. The people talking about the band are certainly qualified to talk about what they went through but for the most part, there is just a small group giving their feedback. We don’t really get to know much more than this narrow viewpoint. So why the 8/10? The disc despite its “short comings” does give you a wealth of information about the band and their beginnings. The people who are talking are more than able to speak with authority on the subject matter and are interesting to listen to. The documentary flows well and the editing really holds it all together. The main thrust of the doco had me asking what if? What if they were still together as a band, or if Kurt was still alive, what would they have been producing now? The world lost a very talented musician when he passed away and we get this opportunity to reflect upon that. The extras on the disc feature all too brief looks at the stuff that could have been quite readily placed into the main title itself to flesh it out a bit more. Make sure you watch them though as they do have really value in the overall context of the production. 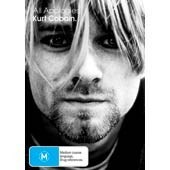 Primarily of value to fans of Nirvana and Cobain, it nonetheless provides an insightful look into the dark heart of one of the most successful groups of that time who inspired a legion of imitators, none of whom managed to ever eclipse the group. Definitely worth a close look.